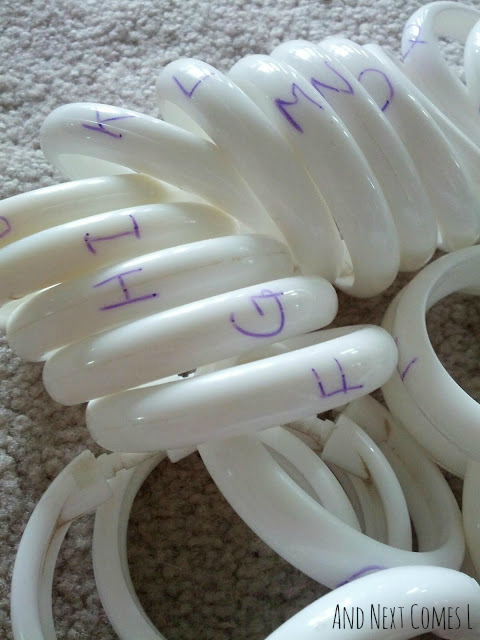 The shower curtain rings return! If you recall, I inherited an abundance of shower curtains and shower curtain rings. 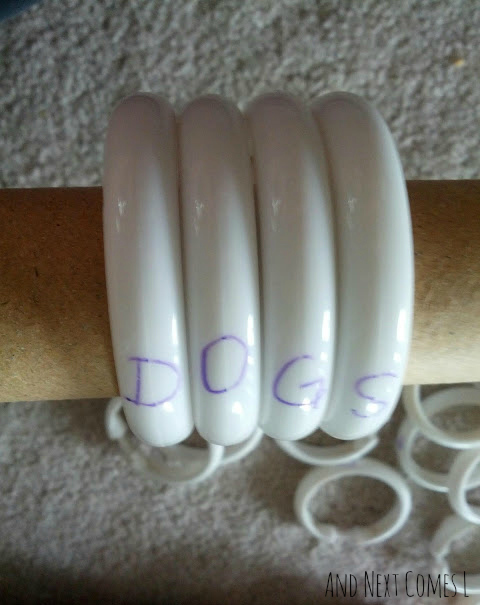 Well, I figured I could write on the rings using window markers, which I have expressed my love of window markers before here. 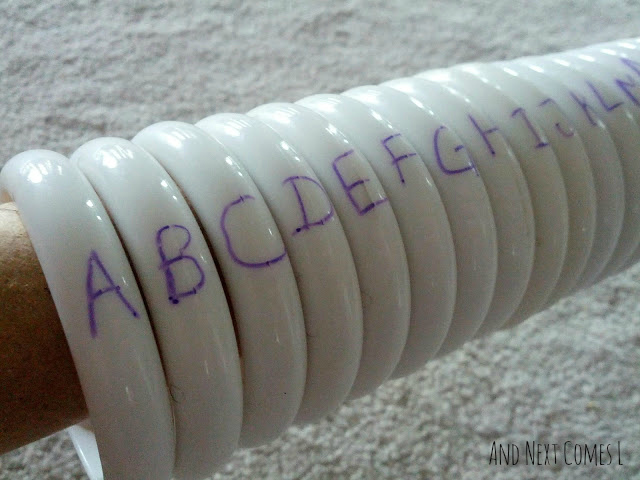 So I wrote the alphabet on 26 shower curtain rings, found a long cardboard tube, and just like that we had an alphabet, spelling, and sight word activity. I wrote one letter per shower curtain ring. I used just uppercase letters. The first thing that J did was put the letters in alphabetical order while I held onto one end of the cardboard tube. I then started to form words for him to read, such as "DOG." However, he quickly added an S because he is going through a phase where he likes to pluralize a lot of words. Then I asked him to form a word of his own. 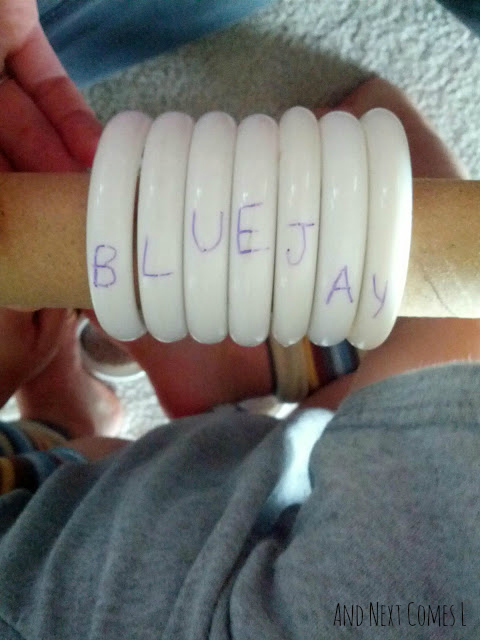 He chose to spell "BLUE JAY", as seen below. After that, I found a wooden peg thing (not sure what it's from), placed the cardboard tube on it, so that J could stack the letters in alphabetical order again. 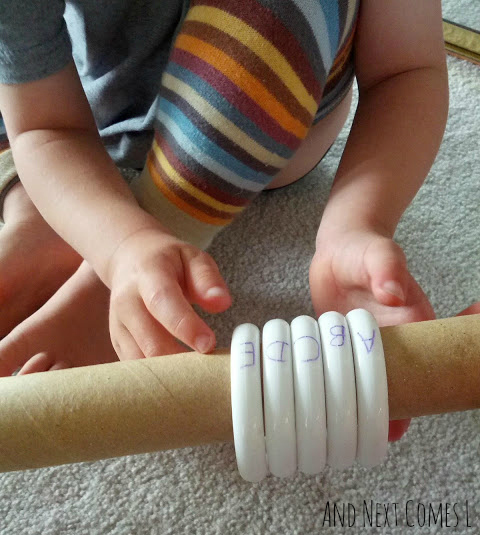 This same set up was used by K and my husband a few days later to just stack and count the shower curtain rings. 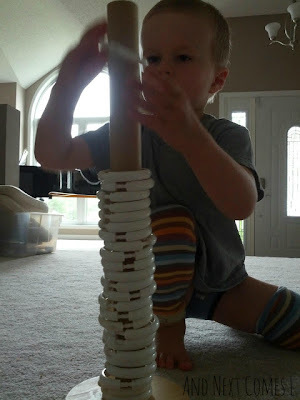 It was an activity that K, and later J, have spent many hours doing. Who knew that shower curtain rings could be so educational and fun! 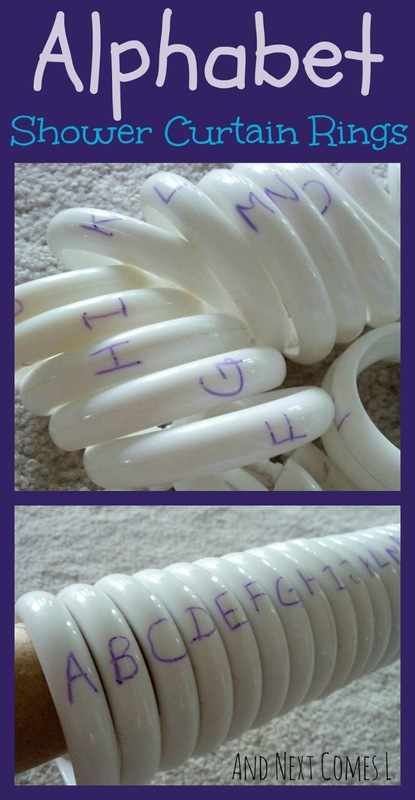 I have many other activities that use shower curtains and shower curtain rings including a Homemade Play Parachute and a Shower Curtain Rings Counting Activity.